The theme has been so recklessly removed that it drains this already abysmal film of depth and strips it of a universal message we all need to hear. 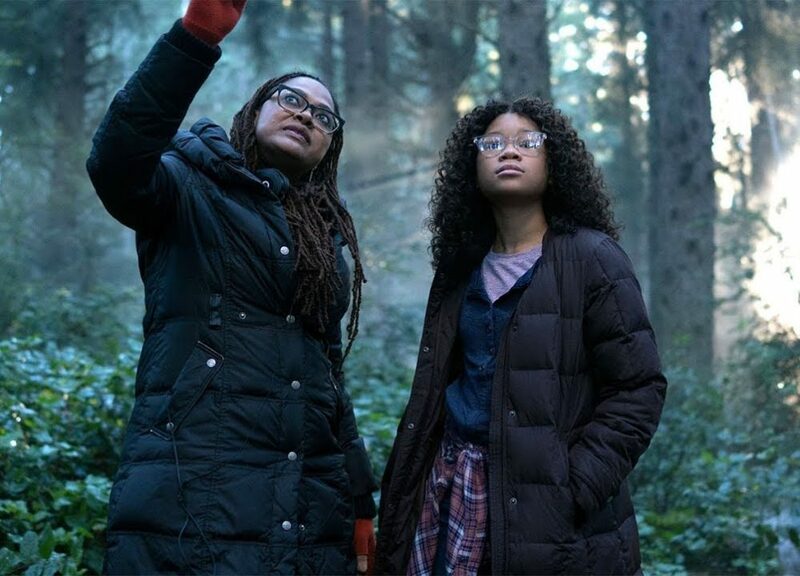 You’ve probably heard about the many changes to the film adaption of Madeleine L’Engle’s “A Wrinkle in Time.” Characters, sequence of events, dialogue, and themes — many have been tweaked, altered, or removed entirely. Some of these I have no problem with, such as changing Meg’s race or even dressing Oprah Winfrey’s Mrs. Which like a parody of Beyoncé. One theme, however, has been so recklessly and deliberately removed that it drains this already abysmal film of depth and strips it of a universal message we all need to hear. That theme is God’s love. Does this sound like a minor point? It might appear to be, but we have to go to the book to discover why it isn’t. Consider the advice Mrs. Who, one of the three guardian angels in the book, gives to Meg as she prepares to go back to the terrible planet Camazotz to save her little brother from the clutches of IT. What is this “weak” thing, this “foolishness of God” that confounds the mighty? In one way, it’s Meg. She’s just a girl, and she’s about to face one of the greatest, most powerful evils in the universe. But there’s more to this “foolishness” than a simple human vessel fighting the principalities of darkness. This sole weapon, this “right” that will prevail, is nothing less than love, and it’s not just any love. It’s not learning to love yourself, as the movie portrays. It’s not the impersonal love of “the universe.” It’s not humans gathered singing chakra healing chants. It’s God’s fixed and deeply personal love that never fails. It is the one thing evil doesn’t have. It’s the only thing that gives us the strength to overcome spiritual darkness. Meg discovers this strength as she faces the disembodied brain of IT and her brother who has been subverted by evil. At first she feels hate and rage rise up within her — feelings that come so naturally to her. This thing before her is vile, wicked, and loathsome to its core. It has stolen Charles Wallace. Its hate is reflected in his eyes — eyes that once looked at her with affection and gentleness. She wants to rip it apart, but then she remembers Mrs. Which’s words: Her greatest weapon would be something IT doesn’t have. IT has plenty of hate, but it doesn’t have the one thing she has in abundance — God’s love for us and our love for others. “Mrs. Whatsit hates you,” Charles Wallace seethes, attacking Meg with more hate. This is what evil does. It wants to weaken us by causing us to doubt God’s love for us, and Mrs. Whatsit’s love is God’s love. As a guardian angel, she is a messenger of God and speaks for him, having no divine authority or power herself. As Mrs. Whatsit told Charles Wallace earlier in the book, “Light shineth in darkness; and the darkness comprehended it not.” That light is truth, but it is also love — a love not wrought by human experience or born of human emotion, but existing for eternity in the God of love. This love is a central theme throughout L’Engle’s “A Wrinkle in Time.” It binds the Murray family together. It attracts Calvin to their intimate fold. It drives Meg to look for her father. It saves Meg from the “spiritual damage” she suffered when she passed through the Black Thing, as Aunt Beast heals her with love. It also, finally, saves Charles Wallace. In facing spiritual struggles, sin, temptation, and the darkness of this fallen and corrupt world, our greatest weapon is not a love built on human subjectivity, which shifts and changes like the wind. The love we need, the love that sustains, comes from an objective, fixed source — our Creator. Otherwise, we are relying on our own strength, and we will fail. We will fail to win the spiritual battles that plague us, and we will fail to love others even as God has loved us. Sadly, the film fails to communicate this great truth. Instead, it focuses on the self as the source of our strength, abandoning L’Engle’s profound message of God’s power and love. In this, it has failed to communicate a universal truth that is found in so many works of fantasy and myth. It has failed as art. This language is not man-made. If it were, we would have no way to find objective commonality or shared understanding of it. Universal means there is objective truth. It’s not subjective or particular; the universal language is not an evolutionary string of particulars that can, logically, only culminate in a particular. Universal is true for all, outside of our own development and experiences. Love — perfect divine love that drives out all fear — is a universal language that should never be ripped from the pages of fantasy and replaced with weak, subjective love. As we portray characters who sacrificially love one another, we must be faithful to communicate that the source of this horizontal love is, first and foremost, vertical love. Other writers have captured this same universal language, communicating so powerfully the true nature of love and its role in our spiritual battle. J.R.R. Tolkien portrays this in “The Lord of the Rings” when Frodo is corrupted by the ring of power. Like Charles Wallace (and Meg for a short time), he is spiritually damaged by his contact with evil. The intense and painful struggle is not one he can overcome alone. He is saved by the love of Sam, who faithfully follows him to the edges of hell. This is similar to how Mrs. Whatsit, who was once an angelic star, infuses Meg with divine light and love to overcome the Black Thing. Frodo carries this power with him into Mordor, and Sam takes it up when Frodo loses it in his battle with the monster Shelob. This is the universal language of love that God has given us, and we must not lose the personal nature of it. To reduce God to a mere impersonal force of the universe, or to put loving ourselves before God’s love for us, not only weakness the narrative, but cuts the thread of a theme that is woven into the fabric of human experience. It is also one our children need to learn; it’s a theme humans need to learn in every age, because we so easily forget. Our world is sorely lacking in love, and one reason is we either choose the easy path of hate, intellectualize everything instead of loving, or we love in our own strength, looking to ourselves or others as the source of love. When we do this, we are always disappointed. We fail. We become discouraged, loneliness engulfs us, and our spirits grow heavy with the weight of sin. Indeed, it is quite something to be loved by someone like God. “This is how God showed his love among us: He sent his one and only Son into the world that we might live through him. This is love: not that we loved God, but that he loved us and sent his Son as an atoning sacrifice for our sins. Dear friends, since God so loved us, we also ought to love one another” (1 John 4:9-11).